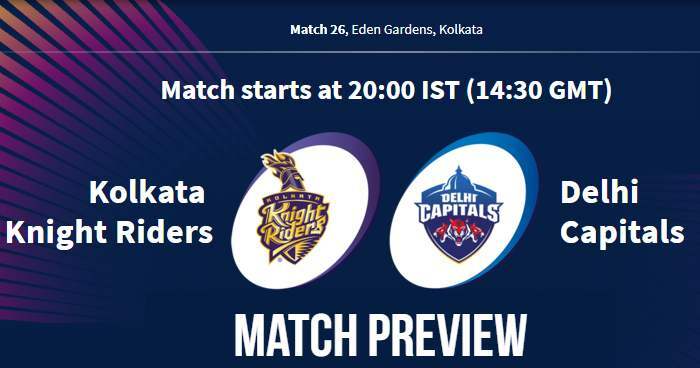 Kolkata Knight Riders (KKR) and Delhi Capitals (DC) will the 26th match of the 12th season of Indian Premier League - IPL 2019 on 12 April 2019 at Eden Gardens, Kolkata. As far as weather is concerned, there will be afternoon rain with the thunderstorm. The temperature will be below 28°C during match hours. This wicket is a bit two-paced and spin will play a big part. You can expect there to be something for everyone. The new ball will move, spinners will get turn and there'll be runs in it for the batters too. The only change Kolkata Knight Riders will be making is bringing back Lockie Ferguson in place of Harry Gurney. Harshal Patel is ruled out of the IPL 2019 due to fracture to his right arm. Delhi Capitals will be playing with the same combination. In Indian Premier League (IPL) Kolkata Knight Riders and Delhi Capitals have played 22 matches against each other out of which 13 were won by Kolkata Knight Riders and Delhi Capitals won 9 matches. 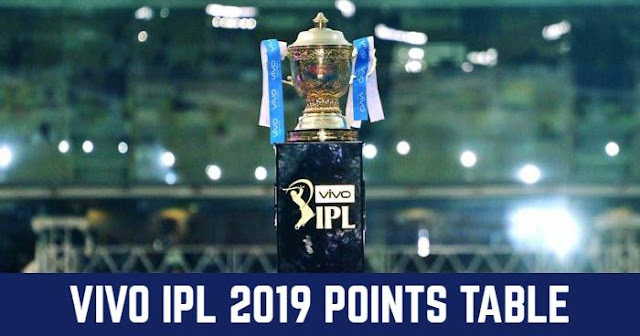 The last match between them was played in IPL 2019, where Delhi Capitals won in the thrilling Super Over. At Eden Gardens, Kolkata; Kolkata Knight Riders and Delhi Capitals have played 8 matches, 7 are won by KKR and DC won only one match. Sunil Narine needs one more wicket to complete a bag of 50 wickets in IPL matches at the Eden Gardens and the second bowler to take 50 IPL wickets at a venue (Eden Gardens) after Lasith Malinga (58 at the Wankhede Stadium). The Kolkata Knight Riders have 99 wins in T20 cricket. Shikhar Dhawan needs one more score of 50 or more to complete 50 half-centuries in T20 cricket. The Knight Riders have a 25-7 win-loss record in run-chases at the Eden Gardens. This season Kolkata Knight Riders have won all three matches when they’ve chased targets. Playing XI for KKR: Dinesh Karthik (c & wk), Joe Denly, Robin Uthappa, Nitish Rana, Shubman Gill, Andre Russell, Carlos Brathwaite, Piyush Chawla, Kuldeep Yadav, Lockie Ferguson, Prasidh Krishna. Playing XI for DC: Shreyas Iyer (c), Prithvi Shaw, Shikhar Dhawan, Rishabh Pant (wK), Colin Ingram, Chris Morris, Axar Patel, Rahul Tewatia, Keemo Paul, Kagiso Rabada, Ishant Sharma.